Recently, Decoder Magazine also published a feature I wrote about the interview. The audio piece first aired on KZSU Stanford 90.1FM on October 21st, 2013. Many thanks to Jon and Rocket Girl Recordings for the opportunity. The next podcast will arrive December 1st and feature Irish rockers, God Is An Astronaut. After a week break from the interview blitz on my show, I had the fortune to interview Drew Sullivan, otherwise known as Slow Dancing Society. 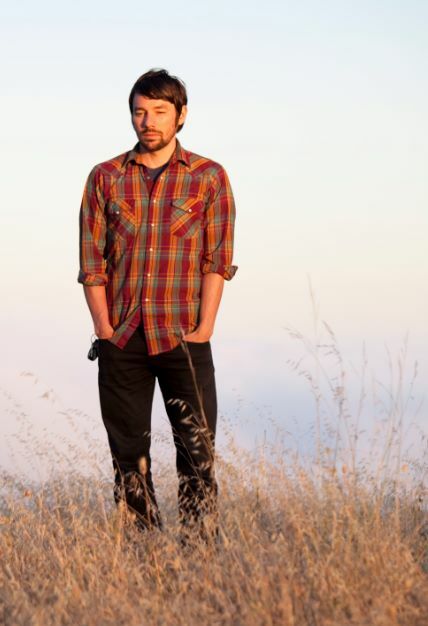 Sullivan resides in Washington where he produces and composes atmospheric ambient music. His four full-length releases have met critical acclaim from a wide variety of publications and aggregators, including Luna Kafe, Twice Removed, Hypnagogue, and the Ambient Music Guide. Slow Dancing Society absolutely dominated the KZSU charts in 2011. Three Slow Dancing Society records charted in the top 14 ambient/experimental albums at KZSU. Most recently, Hidden Shoal artist Antonymes reworked a series of tracks from Sullivan’s releases on the late 2011 album, We Don’t Look Back for Very Long. It was a pleasure to welcome a master of blanketing, dreamy sound, Drew Sullivan to KZSU. Drew spoke with me about his musical influences, how the 80s play a pivotal role in the sound of Slow Dancing Society, and the upcoming releases of some of his projects. Unbeknownst to me, Drew has joined City of Satellites, contributing bass, and collaborations have even morphed into something different, titled The October Solution, whose works in progress can be heard here. Check out my interview, and make sure to go to the Hidden Shoal website, or check out Slow Dancing Society on bandcamp, if you haven’t already familiarized yourself with Sullivan’s work. Thanks agin to Drew for his time and to Hidden Shoal for all the support at KZSU. Take care and until next week. Hey internet fans! Yesterday I spoke with Cory of Three Lobed Recordings over the phone and on the air. Cory Rayborn is the owner and head of Three Lobed Recordings. Three Lobed is a small label out of Jamestown North Carolina. The label began as a website for the Philadelphia heavy pyschedelic band, Bardo Pond, who was then enthused to release on 10″ vinyl the Slab EP under Three Lobed in August of 2000. Since then, Rayborn has moved on from his undergraduate years at Duke to the University of North Carolina Law School and now practices law in High Point North Carolina. Three Lobed has steadily become more and more influential, picking up a roster of artists and friends of friends all over the country. Recently, Three Lobed re-released Bardo Pond and Tom Carter‘s studio psych collaboration, 4/23/03. It’s now a double LP with a bonus track and bonus CD of collaborations that took place on 4/25/03. Coming up this year is the second release from the Gunn-Truscinski duo, titled Ocean Parkway. There is no doubt that this is one of my favorite labels — where else can you find the likes of Tarentel, Jack Rose, Heavy Winged, and Eternal Tapestry releases all on one label? My talk with Cory covered a lot of different territory. We spoke about his love of taping live shows, and how this made him a star in the taping community, increasing his contacts with artists. Cory also explained his philosophy on releasing music from the artists he trusts and respects. Take a listen to the interview and make sure to visit http://threelobed.com/tlr/home.html for more info on the label. Thanks again to Cory for the time, hosting, permission, and generous support of KZSU Music. My ghost trees interview series continued today with Brian John Mitchell out of North Carolina. Brian John Mitchell is the founder and operator of Silber Records as well as the songwriter and force behind the project Remora. The origins of Silber Records can be traced back to fall of 1994 with the development of the zine, QRD. Silber Records has a motto of “drone, love, honesty, sound” and label artists are stylistically diverse but carry a common link through ethereal ambience, acoustic guitars, and a taste for waves of noise. Silber artists include Rivulets, Alan Sparhawk, Plumerai, Azalia Snail, Aarktika, and of course, Remora, to name a few. 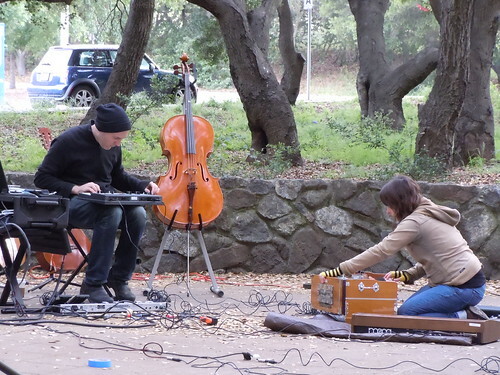 Remora released Scars Bring Hope in late 2011, which is a move into the studio and a return to post-apocalyptic folk pop songs that are dunked in electronics, drones, and heavy sounds. The lengthy discussion I had with Brian jumped all over the map. We spoke about QR, upcoming Silber releases, Remora and drawing comics. Brian is such a good guy and it was a pleasure to get to know him before and after our interview. If you would like to take a listen to the interview, you can do so here. Make sure to head over to the Silber Records home on the web: www.silbermedia.com. Silber is truly one of the great labels I’ve only had the privilege of discovering due to my involvement in college radio at Stanford. February 20th (10am): Cory Rayborn, head of Three Lobed Recordings and another label stalwart from North Carolina.